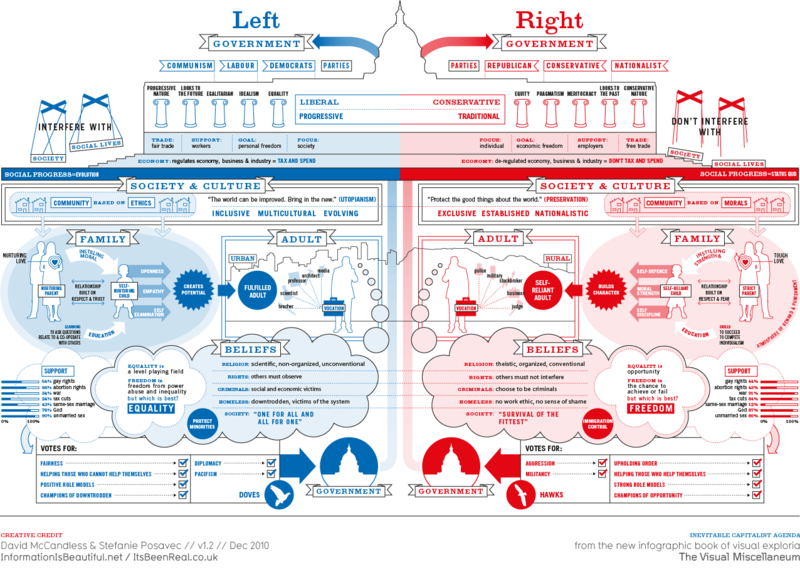 This graphic shows left & right, liberal vs conservative, blue vs red, from a US perspective. In other countries the associations may differ. See the ‘World’ version for more.